“Other than baguettes, berets, and Brigitte Bardot, few things are more classically French than bergères. 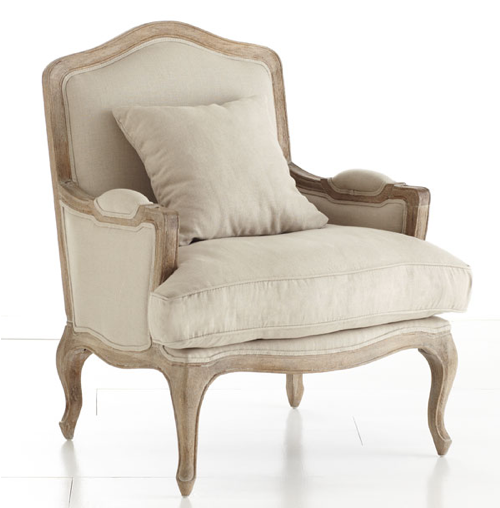 Popularized in Louis XV–era salons, these cushy armchairs survived the revolution, adapting easily to the changing fashions of the Directoire and Empire periods. Today they remain as in vogue as ever. And for good reason—with their plush upholstery and regal frames, bergères blend comfort and style seamlessly. For laymen, what sets them apart from other stately seats are their characteristic closed arms, loose seat cushions, and exposed-wood frames. “They really are masterpieces,” says Bruno de Caumont, an interior decorator and furniture designer. 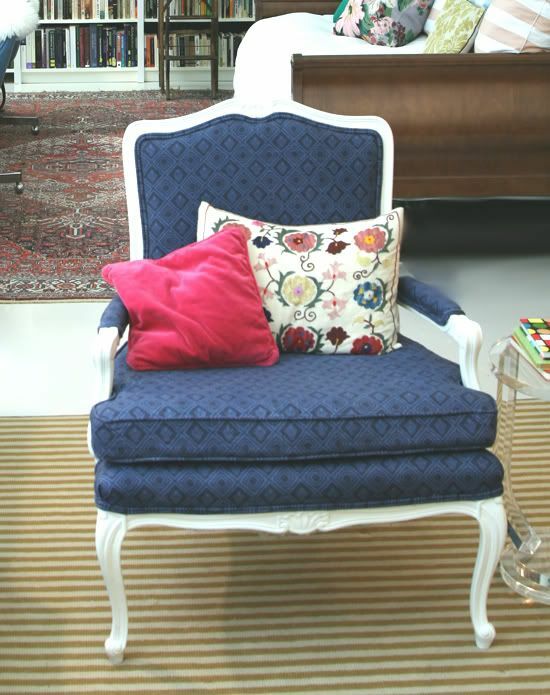 Having learned about bergères from the chief upholsterer at Versailles, Caumont is well versed in the different styles. A bergère en gondole has an arched back and sides upholstered as a single panel, while the bergère confessionale features a high back and low arms. “Bergères were really designed for palaces,” notes interior architect Beata Galdi. Still, she finds their elegant form fits into even the most contemporary rooms, whether grouped in a formal seating area or standing alone in a bedroom. “Excellent design is timeless,” Galdi says.